Xenia with her International Education Week presentation board. Xenia with mamalinga, a porridge made out of yellow corn flour which is traditional in Moldova. Xenia at the National Future Farmers of America convention. 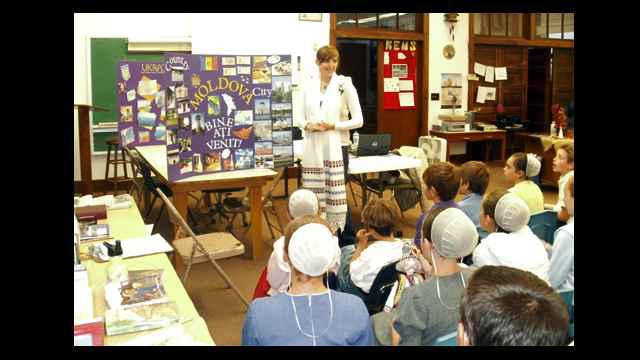 Xenia gives a presentation to an Amish-Mennonite School. Xenia Macritica is from Moldova and is a member of Future Farmers of America (FFA). 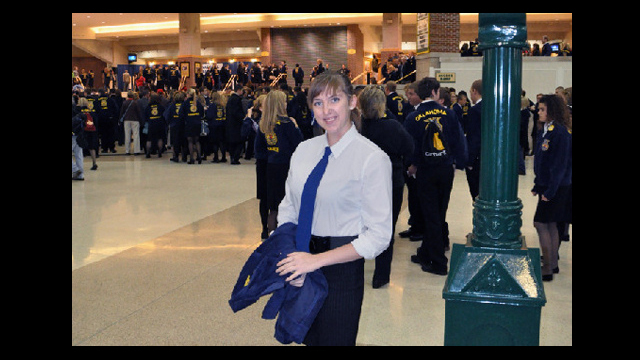 She attended the National FFA Convention in Indianapolis, Indiana where she participated in leadership activities with 50,000 other students from across the United States. She is also active in school and community service activities and participated in the Crop Walk to raise money to help fight poverty. 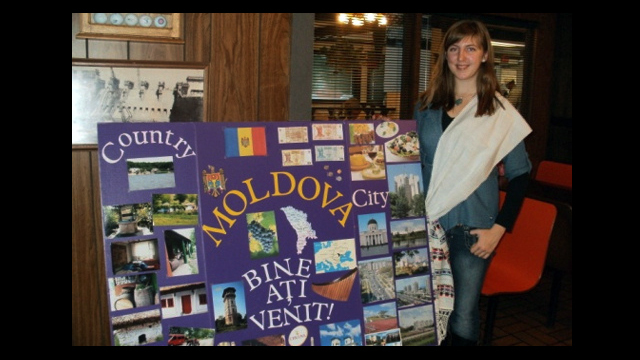 During International Education Week (IEW), she used immersion activities to help her provide a captivating true life view of Moldova's culture.